How to Apply : Application in prescribed format should be sent in an envelope superscribed with bold letters as "Application for the posts of .................... " on or before 16/12/2011 (23/12/2011 for candidates from far-flung areas) to Office of the Regional Director, Staff Selection Commission, (Western Region) 1ST Floor, Pratishtha Bhavan, 101, MK Road, Mumbai - 400020. 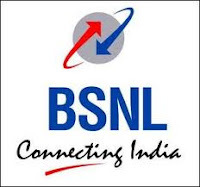 BSNL Maharashtra will recruit Junior Telecom Officers (JTOs) through Special Recruitment Drive (SRD) for Persons with Disability (PWD) in the IDA pay scale of Rs. 16400-40500. How to Apply : Application in the prescribed format should be send on or before 12/12/2011 to DGM (HR & Admn), O/o. The CGM Telecom BSNL, Maharashtra Telecom Circle, Admn. Bldg, 3rd floor, B-Wing, Juhu Road, Santacruz (West), Mumbai – 400054. How to Apply : Application in the prescribed format should be send on or before 13/12/2011. Applications are invited for Faculty Positions of Associate Professor/ Assistant Professor in the areas of Finance & Accountuing, Human Resources Management, Information Technology & Systems, Operation Management, Marketing Management. The candidates should have Ph.D. in the appropriate discipline with excellent academic record. 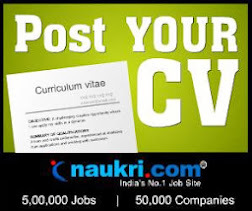 How to Apply : Apply Online at IIM Ranchi website upto 31/12/2011.